Step Forward and Shine in Your Life! For a limited time, this 224 page eBook is immediately available for $4.97. "Yes, I want my eBook NOW!" Step into your power and purpose as a parent! Gain new insights into how to let go of judgments (and help your teen let go too). Contribute to the conversation in our FREE Private Parents Empowering Teens Facebook Group. An Extraordinary Anthology of Personal Triumph You Must Read NOW! Deep inside, most of us want to shine, but lack of self-confidence and lack of encouragement often get in the way. The value of this book comes from the enlightening insights and bits of wisdom contained within the deeply personal stories shared by the book's contributors. I appreciate that these nuggets stand out, via the use of bold text and/or lists. I'll be returning to these wisdom points again and again. "The greatest desire we have is to be needed and called to make a difference in the lives of others. Make a difference in the world by saying yes to inner wisdom, make a difference in the world by saying yes to you in leading change. Make a difference by saying yes to adding this book to your library. Let this book inspire you to inspire others." 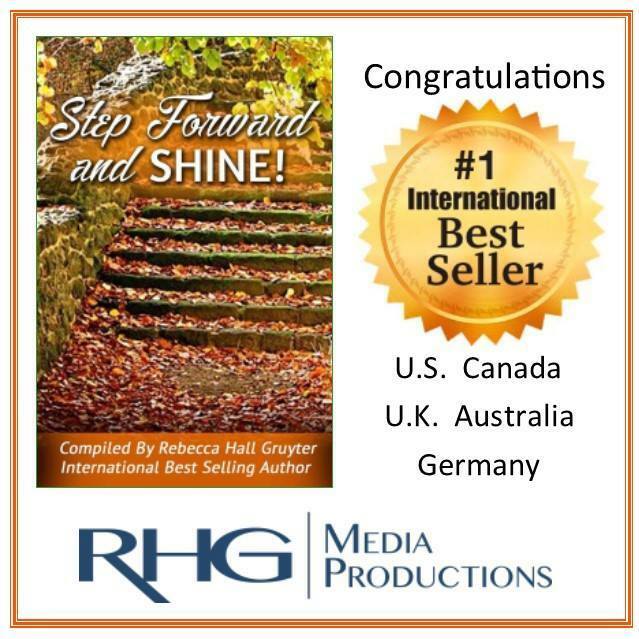 Step Forward and Shine is an extraordinary anthology of personal triumph. There are powerful stories about how simple acts can change lives. In other cases, it's about the courage to face and overcome incredible odds to conquer physical or emotional circumstances. Whatever their personal story, this book is filled with countless empowering stories about learning how to honor yourself, your true gifts, and your true purpose of love, compassion and infinite potential.